Tonight I’m doubling up with a power duo from Origins and Shiseido. 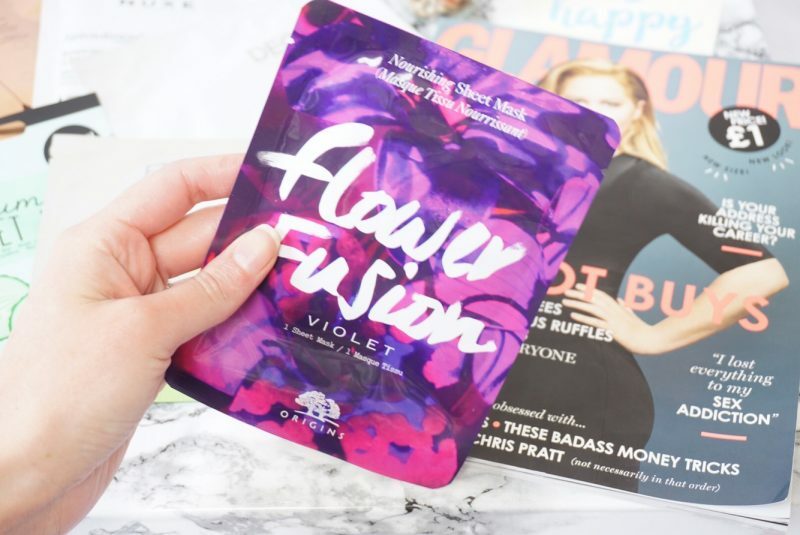 The nourishing Violet Flower Fusion sheet mask leaves my skin super hydrated, plump and calm. It’s the perfect pick me up to give your skin a lovely plumpness, I’m thinking of using this on the morning of my wedding day! I’ve got dry eyes from hay fever at the moment (yes I have rubbed them) so I am giving them extra hydration with the Shiseido Benefiance Pure Retinol Express Smoothing Eye Masks that are designed to instantly reduce the appearance of wrinkles, dryness and dark circles around the delicate eye area. 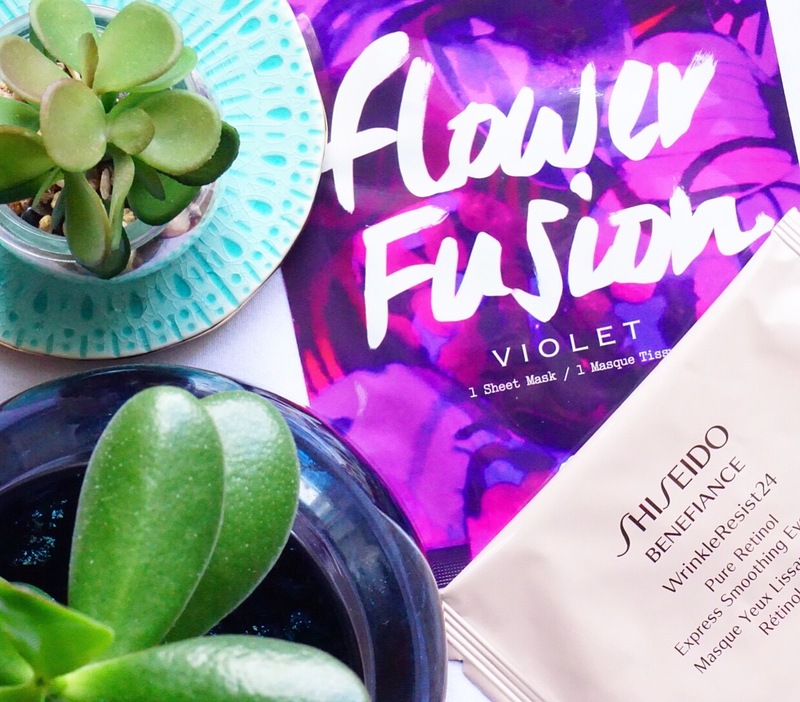 Inspired by the naturally radiant beauty of florals, each Flower Fusion sheet mask helps to provide an instant boost of radiance and dewy moisture. Crafted with natural Bamboo and formulated with pure flower extracts, each sheet masks provides a unique essential oil blend to deliver an ideal sensorial experience and deliver specific skin benefits. Choose from Jasmine (best for softening), Lavender (best for soothing), Orange (best for radiance boosting), Raspberry (best for refreshing), Rose (best for hydrating) and Violet (best for nourishing). I love these express anti-ageing eye masks as an emergency treatment on my eyes if they are feeling a bit dry or tired. The Pure Retinol Express Smoothing Eye Masks are designed to instantly reduce the appearance of wrinkles, dryness and dark circles around the delicate eye area. Shiseido’s original Pure Retinol Micro-Infusion technology treats skin quickly and deeply, smoothing away wrinkles and dryness, for vibrant, youthful looking skin. Simultaneously, Mukurossi Extract switches off the wrinkle-promoting enzymes that cause wrinkles to appear. These masks are so multi-functional they can also be used to combat laughter lines around the mouth. Perfect for regular and emergency use.